Review by AllTheBestFights.com: 2018-07-27, pretty good finish between Sho Kimura and Froilan Saludar bu it is not enough to get three stars: it gets two. The Wbo Flw champion Sho Kimura entered this fight with a boxing record of 16-1-2 (9 knockouts) and he is ranked as the No.8 flyweight in the world (currently the #1 in this division is Donnie Nietes). He suffered his only defeat at his pro boxing debut in 2013, against Shosuke Oji, since then he has collected 16 victories and two draws beating Wisitsak Saiwaew, Zou Shiming (Shiming vs Kimura) and Toshiyuki Igarashi in 2017 (Sho Kimura vs Toshiyuki Igarashi). His opponent, Froilan Saludar, has an official record of 28-2-1 (19 knockouts) and he entered as the No.16 in the same weight class. He was defeated by Takuma Inoue in 2016 (Takuma Inoue vs Froilan Saludar) but then he has won five consecutive bouts beating Jonathan Francisco in 2018. 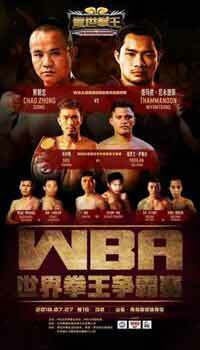 Kimura vs Saludar is valid for the WBO World flyweight title (Kimura’s second defense); undercard of Knockout CP Freshmart vs Xiong Zhao Zhong. Watch the video and rate this fight!